The Nissan Leaf’s sales surpassed 1,00,000 units in Japan last month, and Nissan commemorated this milestone in the country with a forum focused on the creation of a “zero-emission society” yesterday. At this forum, the Nissan Leaf Open Car was unveiled. Nissan has sold more than 3,20,000 units of the Nissan Leaf globally. 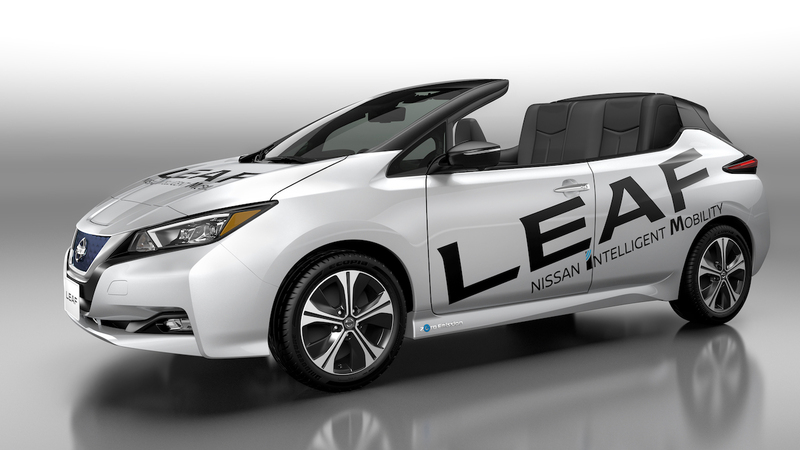 As seen in the images, the Nissan Leaf Open Car is a roofless second-gen Nissan Leaf. It is most likely just a show car. 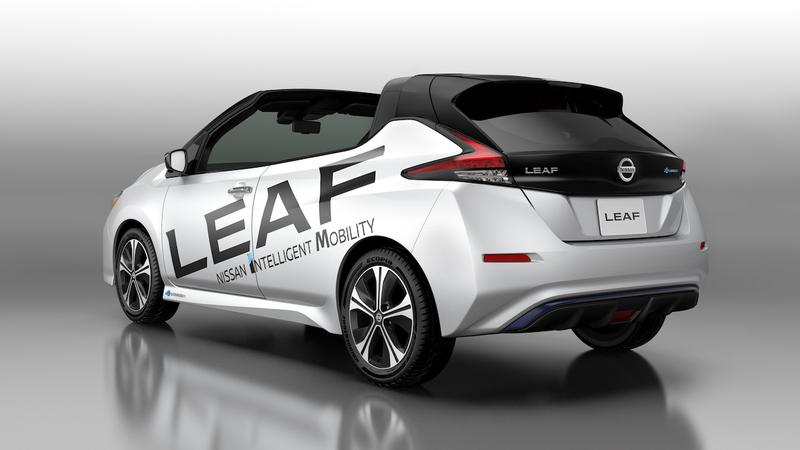 Nissan has not announced a roofless Nissan leaf or a convertible Nissan Leaf for production. However, as part of its M.O.V.E. to 2022 midterm plan, it has confirmed plans to develop eight new pure electric vehicles. By FY2022, the company aims to sell 1 million electrified vehicles - either pure electric or those with e-Power powertrains - annually. The first-ever Nissan Leaf went on sale in Japan in December 2010. The second generation Nissan Leaf followed in October 2017. Globally, more than 3,20,000 units are plying on the roads. The first generation Nissan Leaf came with a 24 kWh battery pack that offered a 200 km driving range (JC08 mode) initially. In November 2012, Nissan made some improvements and increased the driving range to 228 km (JC08 mode). A 30 kWh battery pack that delivers a 280 km driving range was introduced as an option in December 2015. The conventionally designed second-generation Nissan Leaf has an even bigger, 40 kWh battery pack, that too as standard. It offers a 400 km driving range (JC08 mode). It uses an improved version of the EM57 electric motor that generates 150 PS at 3,283-,9,795 rpm and 320 Nm of torque at 0-3,283 rpm. The Lithium-ion battery takes 16 hours (3 kW charger)/8 hours (6 kW charger) to get fully charged. Using a quick charger, charging from alert to 80% takes only 40 minutes. By FY2022, the company aims to sell 1 million electrified vehicles annually. Nissan is evaluating the Nissan Leaf for India, but it does not plan to locally produce it. This means that, if green-lit, the world’s best-selling EV will arrive as a niche product in our market. The company has also been running test mules of the Nissan Note e-Power in India.